Guest columnist Zohaib Zafar is a graduate student at Cleveland State University and a member of the Muslim Writers Guild of America. His Holiness Mirza Masroor Ahmad visited the United States earlier this fall. 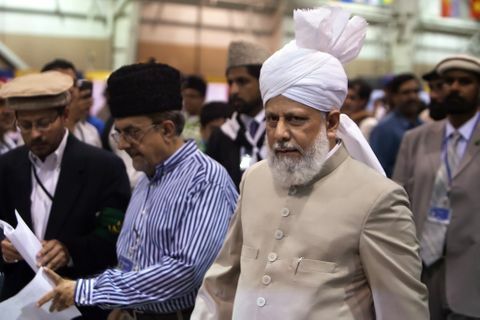 His Holiness is the Khalifa of the Ahmadiyya Muslim Community. He leads a group of tens of millions of peaceful Muslims who are tolerant, dynamic and law-abiding. The press — and all of us — should take note of his message. Hundreds of thousands of people are joining the Ahmadiyya Muslim Community every year because they are attracted to its leader and its message of peace.